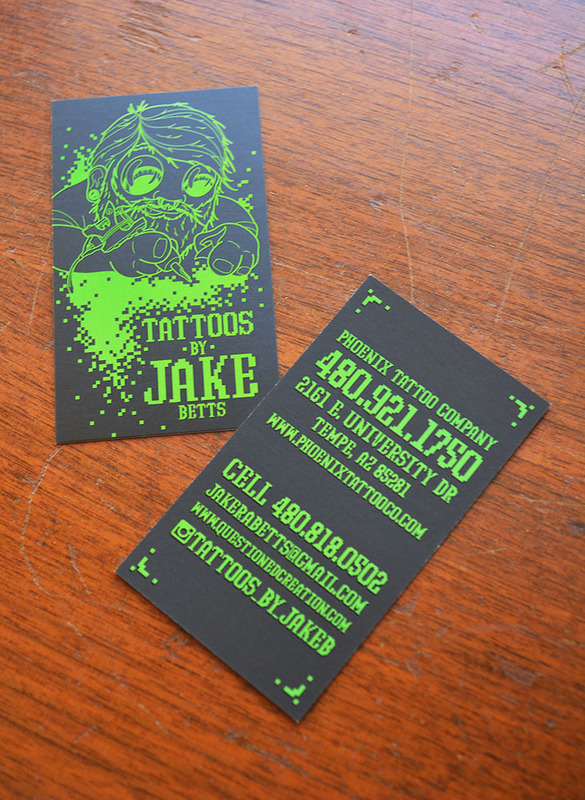 Jake B, a local Phoenix tattoo artist who also happens to be my wonderful boyfriend needed some new business cards. 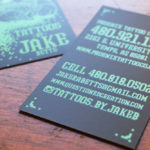 Jake has been tattooing for 5 years and works for The Blind Tiger in Phoenix. Over the years he has developed his own sense of new school style of tattooing and illustrating. And his love of all things nerd means he almost never turns down the chance to tattoo something nerdy. 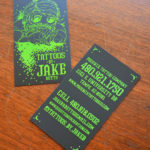 This sets Jake apart from other tattoo artists and he needed his business cards to represent him (the nerd), his style, and his profession. 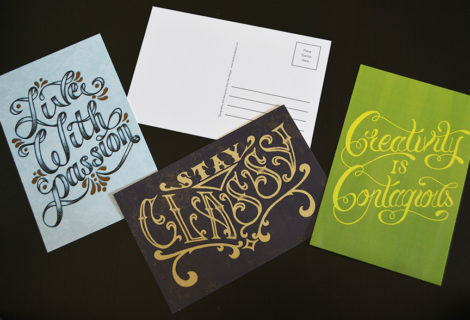 While researching I noticed a lot of tattoo artists’ business cards looked very similar. They had a photo of one of their tattoos or artwork on one side and info on the back. Jake needed to stand out amongst the rest. 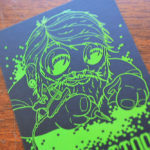 He drew an illustration of himself tattooing in his new school style which I vectorized on the computer to use for the front of his cards. I created an 8-bit font to match his nerdy style which I used on the front and back of the cards. 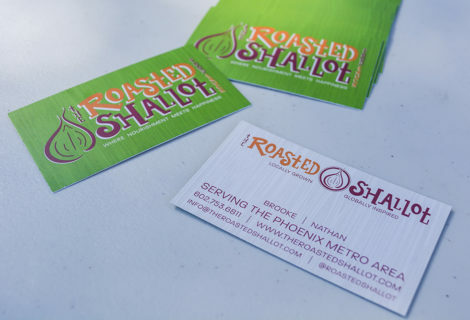 The cards were printed on uncoated stock with a spot UV ink where there is green, making it shiny. 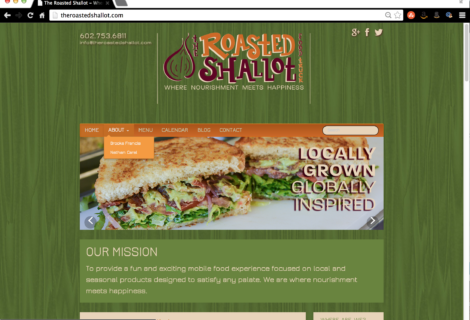 I believe we answered the problems and collaboratively designed some really awesome business cards. When he debuted them at the Phoenix Hell City Tattoo Convention he only had 100 printed and gave away nearly all of them. If you are interested in getting a tattoo by Jake or want to view more of his work make sure you check out Phoenix Tattoo Company‘s website.